The timing for this challenge could not have been better. I had already decided to make Eggs Benedict a personal challenge for the Winter, having never attempted Hollandaise sauce, and having never successfully poached an egg. It was destiny. I am a fanatic when it comes to Eggs Benedict. I crave them. When I crave the Bennies, I get cranky when I don’t have one. 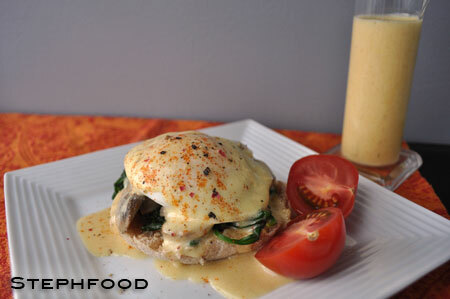 I’ve posted about my love for Bennies before, and you can see that I enjoy many variations on the dish. In fact, I’ve only ever had “real” Eggs Benedict three times – and two of those times were just last weekend. My eating meat has been a recent development, and even still I tend to pick the meatless options instead. In all of the years of eating various Bennies, I never really knew what Hollandaise was supposed to be like. Not to sound high on my cooking skills, but after going through the process of making it myself, I think I now know how it should be. I think mine was a little thin, but the flavour was right. And now I point my fingers at you, *namelessrestaurant*, who make salty, gloopy Hollandaise that tastes like chicken stock. Tsk, tsk, in your general direction. 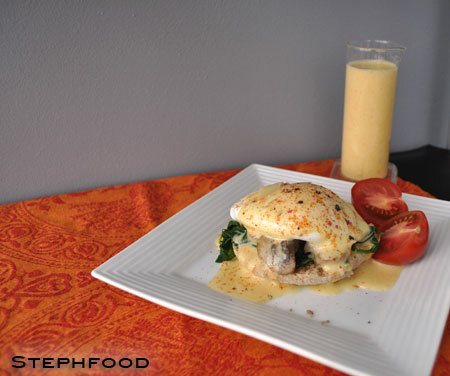 The Hollandaise was tedious, but not difficult. I was so worried it would break, but it stayed together. If you haven’t had it before, it has a pretty delicate flavour with a light lemoniness. I added a few spices to mine, too, and thought they were a great addition. I was scared by the amount of butter required, but told myself that challenge recipes are worth adding that much butter to! Also, I probably could have halved the Hollandaise recipe. The bigger scare came from the egg poaching. I had never been able to poach an egg before. 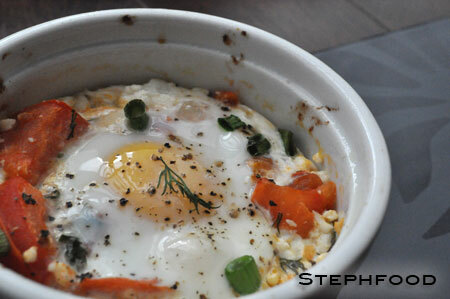 My previous attempt, many years ago, resulted in a poached egg yolk with a thin layer of white around it. FAIL! This time, I made sure to get fresh eggs, looked up all sorts of tips and tricks and used the most scientific method in the book – I held my breath. That usually works, right? The eggs came out great. Once I got past that step, I was thrilled and assembled my stacks full of anticipation for the meal to come. I was really happy with the way these turned out. While I love to go out for brunch, there are times you just want to stay home and have a nice meal. It’s a great way to save money – and stay warm at home on a cold Winter day. I probably won’t make this every weekend, but I do plan to make them again. I think next time I’ll have to try making something like the crab Bennies we had at Dr. Generosity’s. Soooo good! P.S. 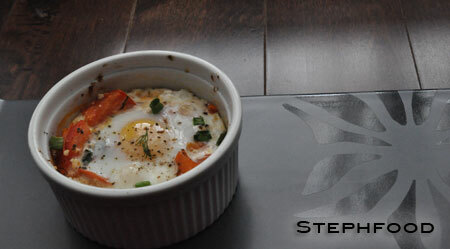 On an unrelated note, this is the 100th post on stephfood.com! I thought that when I got to this point, I’d make a post all about it, but I just have too many fun things to post about right now. I guess I’ll save the sentiment for the 1 year anniversary, at the end of January. Until then, let’s raise a glass of Hollandaise!